*”Fast & Furious” star Vin Diesel told fans Sunday night that the franchise’s seventh installment will open on April 10, 2015. He posted the above photograph on Facebook that showed the last scene he and his late co-star Paul Walker filmed together. 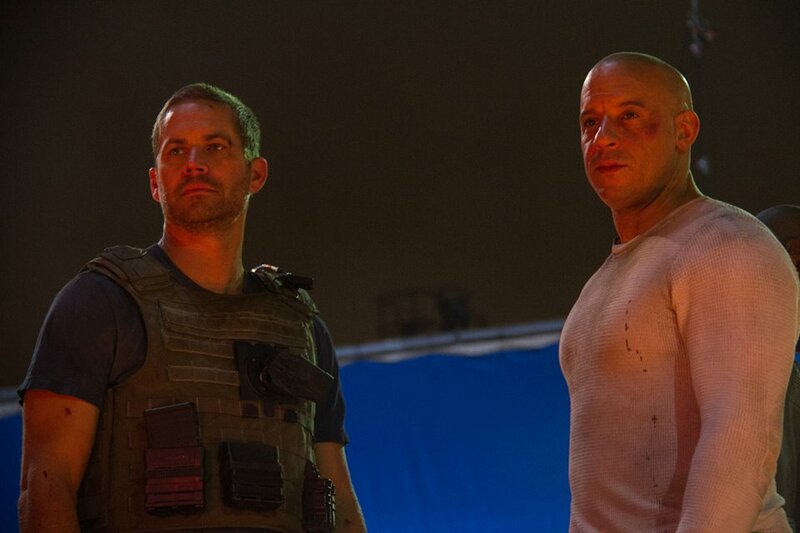 “There was a unique sense of completion, of pride we shared… in the film we were now completing… the magic captured… and, in just how far we’ve come…,” Diesel wrote in the posting. The movie had been scheduled for a July 2014 release, but production was put on hold following Walker’s sudden death. The 40-year-old actor and the rest of the “Fast & Furious” cast were on a short break for Thanksgiving when he stepped into a red 2005 Porsche Carerra GT for a short ride around a Santa Clarita, California, business park. Investigators believe the car, driven by Walker’s friend, was speeding when it clipped a light pole and was engulfed in flames, killing both men. Walker’s ex-cop character, Brian O’Conner, was central to five of the first six “Fast & Furious” stories, and his death left the future of the next film in doubt. 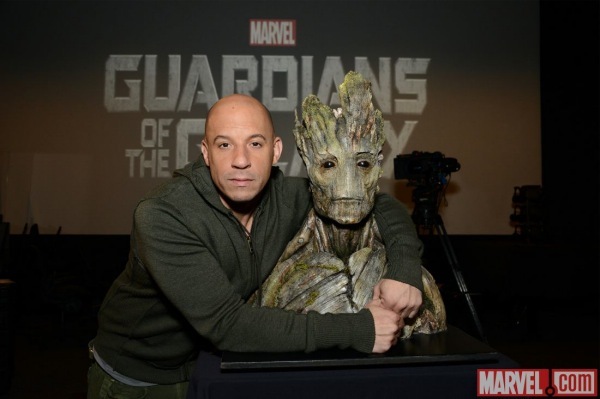 Marvel posted the item on its official site along with the accompanying image of Diesel and his tree-like hero, one of the more unusual members of the Guardians team. The other high-profile cast member lending a voice to Guardians is American Hustle star Bradley Cooper, who’ll voice Rocket Raccoon in the Marvel adventure. They will be joined by an eclectic cast, including Chris Pratt, Zoe Saldana, Dave Bautista, Michael Rooker, Karen Gillan, Djimon Honsou, Lee Pace, John C. Reilly and Benicio Del Toro as The Collector.